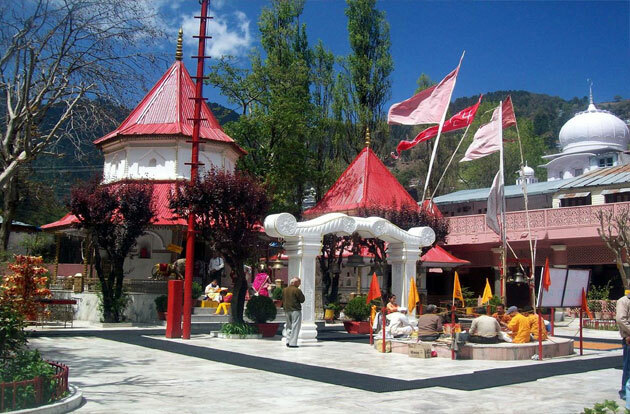 Naina Devi Temple is one of the religious places for Hindu devotees. The temple is devoted to Goddess Naina Devi, who is deemed to be one of the 64 Shakipeeths in India where parts of Goddess Sati’s body fell on earth while God Shiva carrying her body. It is the place that Goddess Sati’s eyes fell, and after that incident the temple and goddess is called Naina Devi. The temple is said to have been made in 15th Century A.D. which may have ruined in a landslide. Later in 1883 it was re-established after destroyed in landslides in 1880. An enormous Peepal tree situated at the main gate has its own significance in history. The deities of Goddess Naina Devi, Maa kali Devi and Lord Ganesha are located inside the temple. Naina devi temple is very charming place to visit. It attracts thousands of tourists and devotees every year. Experience the almighty here, encircled by its best establishment- the utterly serene natural beauty- and you’re definite to go back home rejuvenated!